We’ve been bursting at the seems waiting to share the news! So here it is!! From April 10th to May 20th we’ll be facilitating our most inspiring training yet, and you’re invited! Located in one of our favorite locations around the world, Bali is home to the intimate Pondok Pitaya resort. Your home for 40 days overlooks the black-sanded beaches, decorated with golden flakes that dance in the sunlight. 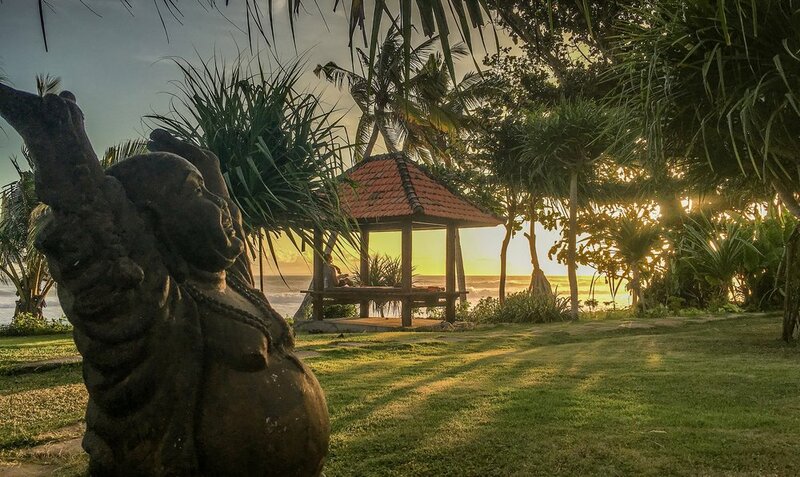 The beach lives up to its name Balian Beach, which means “sacred.” The resort has a backdrop of a sandstone cliff dressed in vines accompanied by tropical palms, and your practice shala overlooks the surf waves and flowing river, the perfect view for a breathtaking sunset. The relationships you make when you do a training intensive are the most precious, and we can’t wait to introduce you to our team of teachers. The experienced and knowledgeable Mathieu Boldron will be teaching challenging asana classes full of enriching technique as well as Annie Au’s melting Yin Yoga classes demonstrating how to energetically deepen the practice spiritually. Mackenzie Miller will up your functional anatomy game while Dr. Ganesh Rao will take you further into the world of Yoga Philosophy. You’ll also be accompanied by the most amazing staff at Pondok Pitaya as well as the friendly locals in the community. This immersion will allow you to dive deeper into yoga philosophy, practical anatomy, optimal alignment, clear cueing, smart sequencing, modifications for all levels, workshop design, gracious assists, acro yoga, and Thai massage. 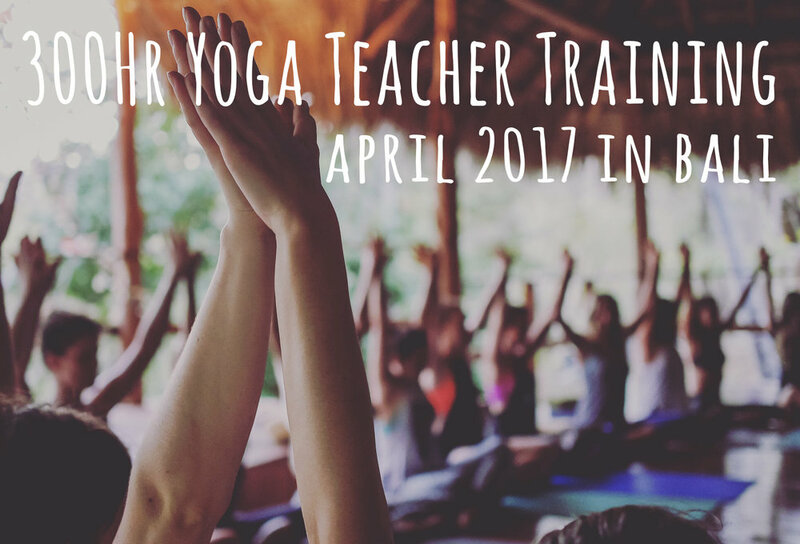 You will even receive a 50-hr Yin Yoga certification, something that is unique to most advanced trainings. Oh, and you’ll be able to enjoy the perfect surf wave and swimming pool as well! Your days are sure to be packed full with classes, workshops and enjoying your surroundings. That’s why you’ll need a comfortable room constructed with reclaimed teak wood and recycled boat wood to ensure you are well-rested and at peace during your stay. There are also Balinese energy healers and masseuses available at your convenience for only $15 USD a session. So if you’ve trained with us before or if you’re looking into a new experience, contact us at contact@exhaleyogaretreats.com for more information! Hurry soon, the early bird rate extends until December 27th! Sounds like a pretty good Christmas present for yourself!